I recently got my hands on the soundtrack for The Legend of Zelda: Majora’s Mask, which was a free gift for achieving “Platinum” status over at Club Nintendo. After popping it into my car stereo and listening to it for a couple days’ worth of travel, I couldn’t help but be brought back to the various memorable moments the game had to offer. For all the praise this game has gotten in recent years – including “Operation Moonfall”, a campaign to have it remade like Ocarina of Time was for 3DS – Majora’s Mask lives on as a polarizing figure in the franchise’s history. Some love it, some love to hate it. So where do I stand on this whole Ninten-debacle? I don’t normally do full-on game reviews, but this one was begging for it. 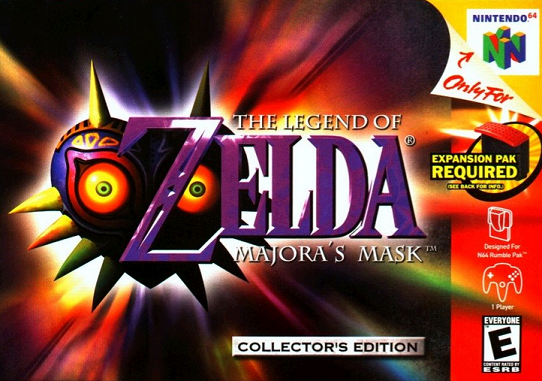 To understand the draw of Majora’s Mask, you first have to look at the Zelda series as a whole. With all of that in mind and out of the way, what was it that made Majora’s Mask so special? What made it stand apart from the rest of the pack, and made fans stand up and defend the game’s various oddities in the years following the game’s release? 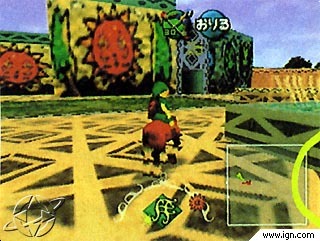 There were a variety of things that developers wanted to try in Link’s first outing on the N64 but couldn’t, either due to time constraints or technical limitations. Soon after the release of Ocarina of Time in November of ’98, a new Zelda Gaiden (which essentially translates to Zelda: Side Story) began development. The tacky-looking Zelda Gaiden screenshot I remember seeing in Nintendo Power. This mixed-bag of unused ideas came together to form a game that would change the traditional Zelda progression model and offer something completely different. Unfortunately, with mixed ideas came mixed reactions from the Zelda faithful. The game scored pretty high with critics, but the game’s darker and generally sadder tones made the game slightly less accessible to happy-go-lucky gamers like me. I mean, c’mon – I played games in my teens to escape and have fun, not to get bummed out about characters experiencing the end of the world! In the second part of this entry, I’ll take a look at the various gameplay elements and quirky characters that make Majora’s Mask the most unique game in the Zelda series. ← Fight, Samus! For everlasting peace!